After two road trips through the Riviera Maya I would like to share my highlights here with you. It is such a magical and wonderful place to visit. In this blog post you will find the best Riviera Maya photo spots and travel tips to give you the best experience possible there. Tulum is a separate little world, nothing like you will have ever seen before. Away from the loud party city Cancun with its fancy hotels you will find a lot of eco tourism here. Everything has this very specific nature & hipster vibe. There are candles literally everywhere and each place looks like out of a fairy tale. They have a concept of creating true sustainability, thats why they take care of all the details from the materials of the constructions to the ingredients of the food prepared in the restaurants. The main town of Tulum is basically just one main street with a couple of nice restaurants and bars. The real deal is the hotel zone. This is where you find all the well-known Instagram hotels and super hip food places. 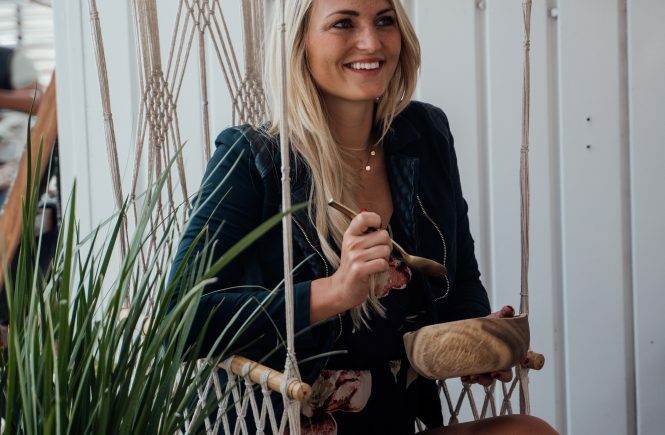 Make sure to visit my blog post on food in Tulum, where I am sharing all my favorite food spots. 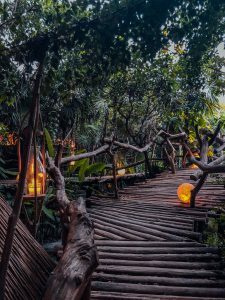 Here are some hotels you should go and check out for a unique experience. You don’t need to stay at them in order to have a look. We always pretended to want to eat something at the restaurant and walked right through. They are all super fancy and have amazing picture places. You definitely have to be a certain kind of person to stay at these places. Although every hotel offers extreme luxury and fancy cabanas you get this hippie eco vibe everywhere. We were interested and googled the prices of some hotels on the main hotel street of Tulum. Most start around 600 euros per night. Any of these hotel will offer some of the best Riviera Maya photo spots. The resorts are all beautifully designed and you will find something cool and new in every single one of them. Beach Tulum – I have only seen this one from outside, but it fascinated me with all the lights and candles. Would have checked it out from inside if there had been more time. 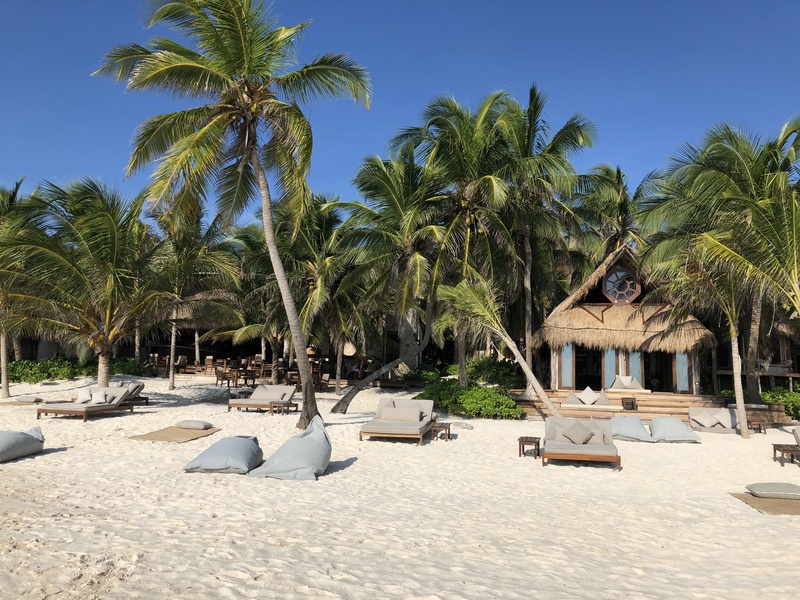 Be Tulum – went through this hotel on the first hotel to get to the beach. They have a really nice pool we used for some photos. The beach bar also looked absolutely fantastic. In Tulum you will also find old Maya ruins directly at the beach. The white old stones in contrast with the stunning clear blue water is a must see. Highly recommend you go early in the morning, as it can get super hot otherwise. A must see at the Riviera Maya are the Cenotes. These are beautiful sinkholes, resulting from the collapse of limestone now exposing groundwater underneath. Back in the days most of them were sacred spaces for the Mayas. Their crystal clear water is breath taking. There are may different types, from open Cenotes to caves. We visited four different ones this time and one last year, each unique in their own way. These old Maya ruins are one of the seven world wonders. They were constructed 600 years BC and are very well maintained. I have seen some Asztek ruins in Mexico City and the Maya ruins are quite different in the way they are built and the stones that were used. We enjoyed our time there a lot as it is simply fascinating to walk around and absorb the stories the buildings tell. 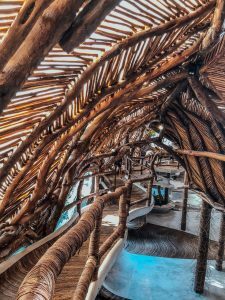 Holbox has to be on my list for best Riviera Maya photo spots. This is a magical little island we came to for one night. Drive to Chiquilá and take the ferry to the island. You can leave the car in one of the many supervised parking lots. We stayed in this super cute hostel where we slept in hammocks for the night. This was the budget version though and you can obviously find more comfortable accomodation on the island, but the hammocks were a once in a lifetime experience! The water on Holbox is so blue it seems almost unreal. Punta Mosquitos and Punta Coco have the best beaches. Downtown Holbox is also perfect for a nice dinner. They have so many stunning restaurants and we couldn’t choose where to go first! At Punta Mosquitos you find a beautiful beach with hammocks in the water reading the word “Holbox”. Each hammock pole has one letter. It looks so cool. Overlooking this beach you find a bar with a rooftop pool. I honestly have to admit I forgot the name, but when you are there you certainly will see it. Cozumel is an island right in front of Playa del Carmen. You will need to take a ferry which takes 30 minutes and is extremely nauseating. On the way there so many people will try to sell you stuff. They are all trying to rip you off by selling you cars for a day because they say taxi rides are crazy expensive on the island. Don’t do any of that. Just buy your ferry ticket at the main counter in front of the harbor (Fast Ferry). We paid around 10$ each way. Once you get there you can walk around downtown a bit and then take a taxi to one of the beaches. To Playa Azul where we have been to the last two times we paid 90 pesos in total, so really cheap. I have heard Palancar should be super nice, but I have never been there before. Photo spot: Cozumel is surely one of the best Riviera Maya photo spots simply because of the gorgeous beaches you will find there. What I love about Cozumel and especially Playa Azul is how crystal clear and blue the water is. Absolutely perfect for beach pictures. This is a quite busy city and we always only passed through the main street close to the beach for dinner. It is bustling with people and you will find a lot of cool restaurant. We went to a place called 100% natural and were amazed by the healthy food choices and nice atmosphere. In the main street you will also find so many different ice cream shops. The best ice cream was at Aldo (Ferrero, Cookies and Kinder Bueno), but we also found spectacular ice cream in the shape of roses where every peddle would be a flavor of your choice. The place was called Amorino. Certainly the most beautiful lagoon I have ever seen and one of the best Riviera Maya photo spots. The lake in Bacalar spreads out with its crystal clear blue water in different shades that give you the impression you are looking at the Caribbean ocean. I can recommend this awesome healthy place there called: Mango and Chile. Their protein smoothies are incredible. Bacalar is much more quiet than all the other places mentioned above. You still get much more of an authentic Mexican experience than anywhere else in the touristic areas. I hope you enjoyed this blog post and it was helpful to plan your trip. I am certain you will love it there and the Riviera Maya photo spots are simply amazing. 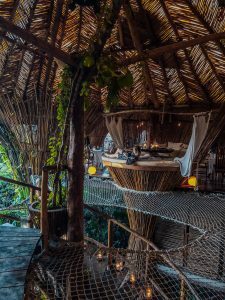 If you are going to visit Tulum you should have a look at my more detailed food guide on the best restaurants in Tulum. In case you have more questions feel free to contact me directly on IG or leave a comment here and I will respond right away. This place is totally on my travel list, I’ve never been to Mexico…Tulum looks like a dream! !